Everything about Go Karts is exciting, the noise,the speed , the race and the atmosphere. 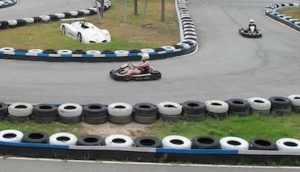 Watch or participate at one of Pattaya's circuits. Even adults enjoy the sensation of speed so close to the ground, as you wrestle with the controls. Don't worry about a lack of experience, as all the circuits provide both for starters and the more expert.A great day out for the family.